I brewed up an Extra Strong Bitter recently using the ‘double drop’ fermentation technique, and thought I’d share a few pics and observations for anyone considering giving it a go. I’d used this same technique previously with pale ales and was pleased with the clarity and clean mouthfeel of the finished product. ‘Double dropping’ is a brewing technique that involves transferring the fermenting wort to a second vessel within a day of pitching the yeast. The intention here is to rack the fermenting wort off the trub (inactive yeast, break material, and hops), which has settled in the primary fermentation vessel, and leave a cleaner wort and healthier yeast for a better fermentation. This technique was popular among some commercial breweries in the UK during the early part of the 20th century, as a means of clearing the wort, and seems to have a number of benefits. First the clearer wort gives a cleaner yeast; and second, aeration during the transfer process helps in healthy yeast growth. All this results in an enhanced fermentability of the wort and a richer flavour to the beer. Brakspear in the UK (part of the group the make Hobgoblin), are the only commercial brewery to currently use this brewing technique, but it’s certainly within the capabilities of the homebrewer to use this technique as part of their brewing repertoire. 1. Wait until the krausen has built into a good thick foam. This usually happens from 12 – 24 hours after pitching the yeast and will depend on yeast strain, temperature and the wort itself. 2. You may notice patches of brown on top of the wort, this is trub and hop resin, and ideally should be removed with a sanitised spoon and discarded. 3. and 4. When the brown trub has been removed from the krausen collect the remaining krausen foam and add to the second fermentation vessel. The white krausen contains plenty of young active yeast cells and will help produce a nice clean fermentation. 5. Transfer the fermenting wort from the first fermentation vessel to the second, allowing the wort to splash gently, aerating and adding additional oxygen to the wort. 6. Leave behind as much trub and unwanted materials as you can, and discard. 7. Seal and place the second fermentation vessel in a suitable place to complete the fermentation. 1. Sanitation is very important at every step of this procedure, as we’re directly handling live yeast. 2. Every yeast strain will be different, but you will need to visually judge when the beer is ready to be ‘dropped’, i.e. : when the krausen has formed a good thick foam. The krausen in the pics above formed after 15 hours using WLP002 English Ale Yeast, although with other yeasts I’ve used, e.g. : US-05 American Ale Yeast, the krausen has taken up to 20 hours to reach that point. 3. Accounts of this technique on the internet report that it’s most suited to English ales. However, I wonder if this is just because of its traditional association with those styles, rather than any inherent suitability? I’ve used this method with American ales with some success and wonder what other interesting flavours could be produced in other styles using this technique. 4. Krausen will form again on the wort after transferring to the second fermentation vessel. Within 4 hours a very white thick krausen formed on the wort in the example above, and fermentation was completed in a few days. Northern Brewer - Article on Double Drop fermentation on the Northern Brewer blog here. Wikipedia - Page on brewing techniques here (see middle of page). Zythophile - In depth article on Double Dropping giving good history and background to this method, here. Brakspear Brewery - Look at the 'fermentation' video here, to see how Double Dropping is done on a commercial scale. Excellent post, something I will definitely try when doing a pale ale. Thanks for taking the time to put this together. Interesting post. I wonder if you could use this technique for making a big beer without having to use pure O2 to get oxygen into the wort, because you're effectively aerating twice? 'Double dropping' is actually a term used to describe a broad technique, within which there are a number of variations - including those where the wort is simply 'dropped', primarily to take it off the trub and aerate it, and those where aeration is avoided entirely. There are pros and cons to every brewing technique, and one of the criticisms of 'dropping' is that a lot of active yeast cells are left behind in the primary fermenter, causing problems later with attenuation. The method in the OP is slightly different, and overcomes this issue by making use of the active young yeast cells in the krausen (similar to top-cropping), and adding them back into the wort to improve the quality of fermentation. Flack Manor - Another commercial brewer using this method here. 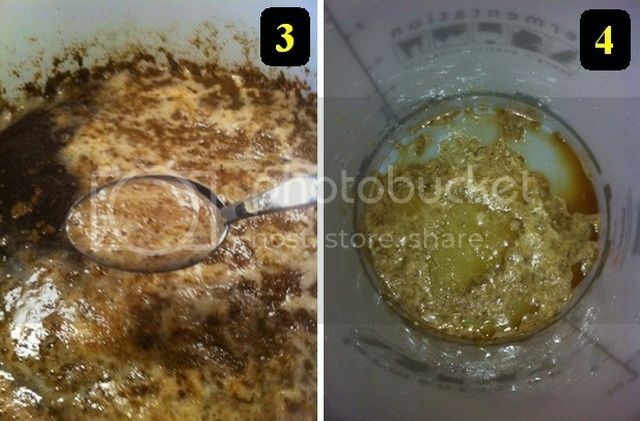 Jim's Beer Kit forum - Double Drop on a home brew scale (nice pics) here. Am I right in saying there's 2 objectives here; first is getting the trub etc out and second is aerating the yeast again? So if you had a conical with a dump valve you could achieve the first and could in theory use a mash paddle to aerate the next day? Am I right in saying there's 2 objectives here; first is getting the trub etc out and second is aerating the yeast again? That's my understanding too - at a basic level it's about creating a clearer wort. This is achieved by racking it off the trub that has settled at the bottom of the fermenter, before it gets stirred up again by the currents created during the growth phase of the yeast. You can transfer the wort with or without aeration, but aerating at a certain point in the yeast's growth cycle has been associated with improved yeast health. So if you had a conical with a dump valve you could achieve the first and could in theory use a mash paddle to aerate the next day? Interesting idea, and certainly having a dump valve (or even a yeast collection ball, a la FastFerment) would be a simple and easy way to get the wort off the trub at the bottom of the FV. I'm sure aerating with a mash paddle would be fine, and it would also help in mixing the fresh yeast in the krausen back into the wort too. As long as the timing was right, and most of the trub on top of the krausen was removed, it sounds like this approach would work well.